Book Online Ski Dubai Ticket! Do something impossible in Dubai , go skiing in the Dubai desert. Are you ready for get the real experience of snow fall at Dubai? We offer you Online Ski Dubai Ticket and get the one of Dubai’s coolest experiences - Ski Dubai. 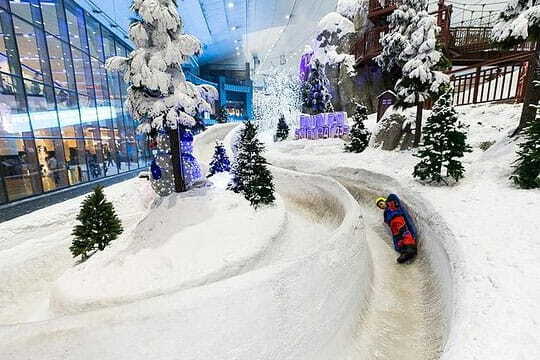 Visit the largest indoor snow park in the world in Dubai Mall of Emirates. 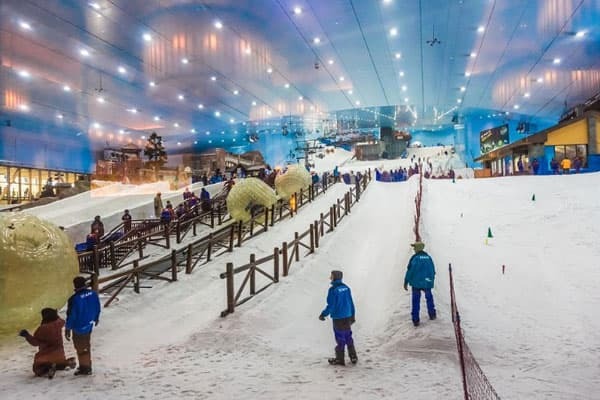 One of Dubai's popular family attractions, Ski Dubai is an indoor snow resort that gives you an amazing snowy feel, regardless of the outside temperature! This fun-packed Snow Park, separated from the main ski slopes, is full of family-friendly rides and attractions, all in a snowy winter setting. This Online Ski Dubai Ticket gives you access throughout the day, so that you can enjoy the snow activities as long as you want. Enjoy a variety of exciting rides, fun activities, skiing and watch the lovely penguins frolick through the snow. Book Ski Dubai Ticket and enjoy a variety of snow activities, including tobogganing, snowboarding, etc. You can Book Ski Dubai Ticket at low prices with us. You can also learn snowboarding and skiing lessons at Ski School located in Ski Dubai. Build a snowman, roll down the hills, play with penguins, go for a twin-track bobbin run or explore the Ski Dubai snow cavern. All these activities can be accessed via the Online Ski Ticket Dubai. 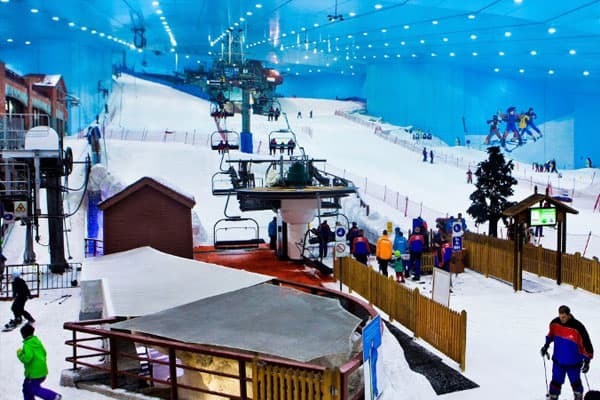 Book Ski Dubai Ticket and get a chance to ride a Snow Bullet zip-line or go for a ride on chairlift to the peak of the hill where you can ski all the way to the base. For an ultimate fun adventure, hop on the giant, transparent snowball globe and roll your way down the slopes by rotating onto the path. This Online Ski Dubai Ticket also allows you to ride down the Mountain Thriller, a colossal slide from the top of Dubai to the very bottom. 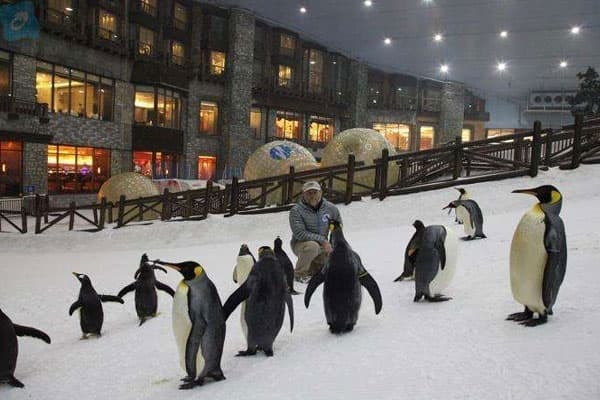 Book Ski Dubai Ticket Online and watch the “March of the Penguins” where the very own penguins of Ski Dubai wander through the snow in a pleasant procession and enjoy the feeling of snowflakes on your face. Book Online Ski Dubai Ticket for the best Ski Dubai Slope Activity, Watch the Penguin March and enjoy thrilling rides at the Ski Dubai Snow Park. Do you some snow Then what are you waiting for, Book Online Ski Dubai Ticket and throw yourself into the winter wonderland of Ski Dubai. Collect your supplied thermal suit and skis or snowboard before you hit the slopes and take advantage of the amazing snowboarding experience and test your skills on the challenging freestyle jumps and rails. Book Online Ski Dubai Ticket and enjoy Penguin experience and view the penguin documentary also watch as the penguins frolic, and swim around the pool through the underwater viewing windows. Get up close and watch the resident penguins in Ski Dubai. 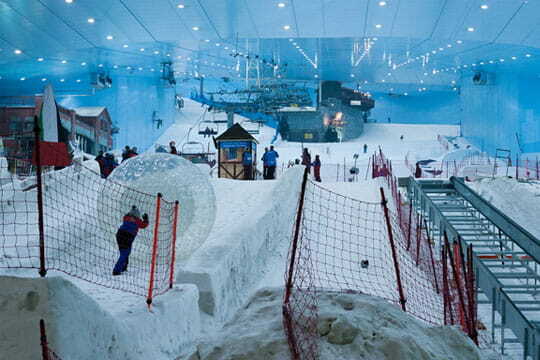 Enjoy An Amazing Snowy Experience at Ski Dubai Please Submit Your Inquiry By Filling Below Form. Our Representatives Will Contact In Next 24 Hours.